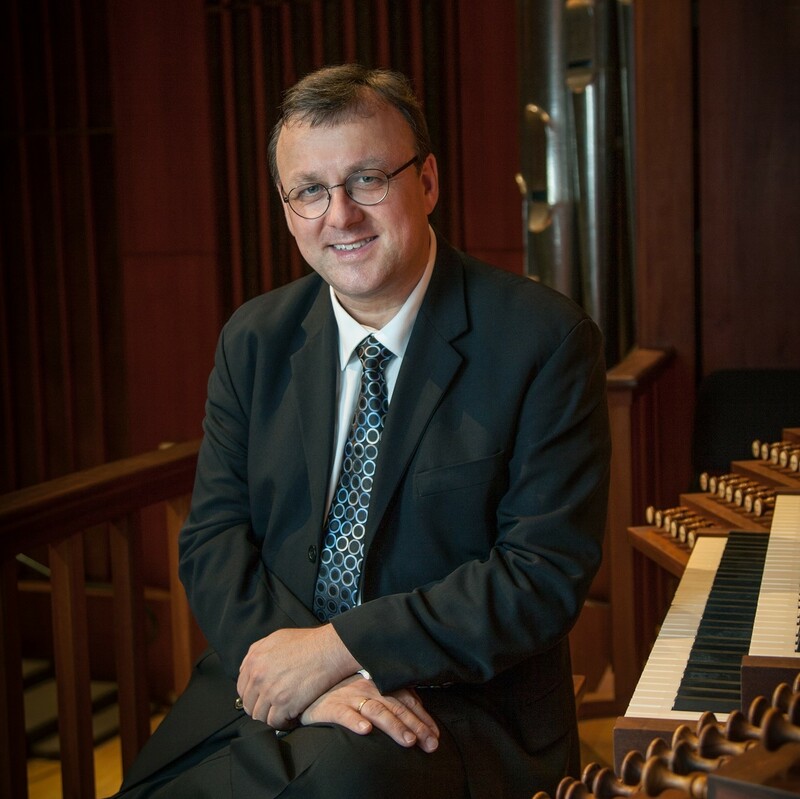 Stefan Engels was appointed Professor of Organ and Leah Fullinwider Centennial Chair in Music Performance at Southern Methodist University in Dallas, Texas, in 2014, where he is also head of the Organ Department at the Meadows School of the Arts. The position is the first Endowed Centennial Chair in Meadows. Engels joined SMU from one of Europe’s oldest and most prestigious musical institutions, the University of Music and Performing Arts “Felix Mendelssohn Bartholdy” in Leipzig, Germany, where he had served as professor of organ from 2005 until 2015. Prior to that he was Associate Professor of Organ and Chair of the Organ Department at Westminster Choir College in Princeton, New Jersey (1999-2005). During his appointment in Leipzig, Engels shaped the University’s Organ and Church Music Institute to a center for organ performance and organ pedagogy of international acclaim. He also founded and served as artistic director of the European Organ Academy Leipzig, which attracts faculty and students from around the world. Furthermore, as an advocate and specialist for the music of the late-Romantic German composer Sigfrid Karg-Elert, he founded the Karg-Elert Festival in Leipzig, demonstrating and discovering the unique works of this Leipzig composer. From 2006 until 2012 Engels was Artistic Director of the Jordan International Organ Competition based at Columbus State University in Columbus, GA. As a juror, he is in frequent demand at international organ competitions such as the Mendelssohn Competition, the Bach Competition and the Deutscher Musikwettbewerb, all in Germany, as well as the St. Albans International Organ Festival, the Canadian International Organ Competition and the Miami International Organ Competition. Engels maintains a vigorous international concert schedule and is a sought-after teacher, having presented lectures and master classes across Europe, North America, South Korea and Russia. Recital engagements have included Smetana Hall in Prague, St. Paul’s Cathedral in London, Victoria Hall in Geneva, the Berlin Philharmonic, St. Petersburg Philharmonic, Moscow Cathedral, KKL in Luzern, Gewandhaus Leipzig, Torch Centre in Seoul, St. Augustine in Vienna, Chartres Cathedral, Hallgrimskirkja Reykjavik, Sydney Cathedral, St. Jakobi Lübeck, St. Michaels Hamburg, Harvard University, the Cleveland Museum of Art, the Meyerson Symphony Center in Dallas, King’s College Cambridge, Spivey Hall in Atlanta, Balboa Park in San Diego and the Cadet Chapel of West Point. He was a featured recitalist at the 2006 national AGO convention in Chicago and is a featured recitalist at three regional AGO conventions in the summer of 2017. Stefan Engels has recorded two highly acclaimed CDs with works by Marcel Dupré on the Naxos label, and one with works of Karg-Elert, Reger, Messiaen and Germani on the Priory label as part of their Great European Organ Series. His specialization in the organ works of Sigfrid Karg-Elert has resulted in the world premiere recording of the complete organ works of Karg-Elert, also on the Priory label. This recording project will come to its completion in 2017 with 16 CDs, which have been reviewed to the highest international critical acclaim: “… this series will surely stand as the greatest project the gramophone has achieved in organ music for very many years … Choir & Organ; 10 fantastic volumes of some of the most creative and complex organ music ever written has been released by Priory in this ground breaking series of Karg-Elert’s complete organ works – much of it unrecorded … Engels has the measure of both music and instrument – there is much to marvel at here … prestoclassical.co.uk; Engels is a player of exceptional talent and in his hands Karg-Elert receives as sympathetic an advocacy as one could ever imagine… International Record Guide; Stefan Engels’ performance is superlative … Organists Review; Engels delivers interpretations that may never be bettered … A magnificent disc.” Gramaphone. Stefan Engels received his broad musical education in Germany and the United States. He studied organ, piano, harpsichord, choral conducting and church music at the Universities in Aachen, Düsseldorf and Cologne. From 1993 until 1998 he pursued further organ studies with Wolfgang Rübsam in Chicago and the late Robert Anderson in Dallas, receiving an Artist Certificate degree from Southern Methodist University Meadows in 1995. He achieved his international breakthrough when he was awarded the “Concerto Gold Medal” at the 1998 Calgary International Organ Competition. Since then, he has been represented by Karen McFarlane Artists Inc. of Cleveland, Ohio.